Have you had an operation or procedure at a larger facility and need additional care or therapy? 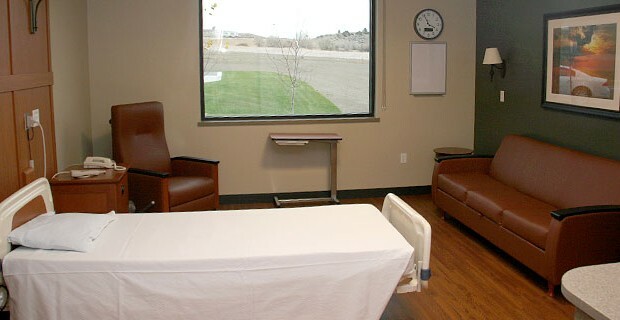 Stillwater Billings Clinic can provide care close to home and closer to your family and friends. Skilled care is provided when you need a skilled nurse or therapist to help you get better, improve your condition and prevent it from getting worse. Examples of skilled nursing care may include IV medications, IV therapy, major sterile dressing changes, and regulation of insulin (adjusting dosages). Examples of skilled therapy care would be post joint replacement surgery physical therapy. Skilled nursing care allows you and your family to take part in setting health goals and functioning independently once again. If you have questions about you or a loved one’s need for skilled nursing care, please call us (322-1000) and visit with our Director of Nursing. . Acute nursing care is for patients with short term injuries, illnesses, or chronic disease treatments. Inpatient observation services are for patients who do not meet the inpatient admission criteria but need an observation period that allows time for a physician to evaluate the patient and determine the appropriate medical interventions.